Summer time and the living is easy. And I am craving brighter makeup colours but I don't want to fuss too much and I can't pull off the vivid, rainbow looks I see on other beauties. So, how do I satisfy my longing for fun makeup and still keep it... Me? Read on. I'll spill my secrets. The pile of colour I used to create this look. I went with orange Dreamsicle shades warmed up with a touch of bronzer and some soft, golden pearl highlight for a hint of glow. I decided to start with my eyes, since I wasn't quite sure what I was going to do and I figured that if I had any fallout or anything, I could clean it up then apply my foundation. After I created my brows I primed my lids with a little Lorac Behind the Scenes Eye Primer Then I grabbed my Too Faced Sugar Pop Eye Palette and got to it. With a large fluffy blending brush I puffed on a little Rock Candy all over my lid to my brow then with a flat shader patted Macaron all over the mobile lid into my crease. I dusted off my blending brush and blended out the edges, pulling the colour up a little onto my orbital bone. By patting on the shadow then blending out the edges, I got a soft, glowing gradient with a beautiful golden shimmer. I rocked a little Malted Milk Ball into the outer half of my crease, pulling it up and blending it out then added a bit more to the outer V. I ran just a little under the outer third lower lash line. And blended well. I used a liner brush misted with a little water to pull Sugared Violet under my eyes to just shy of my inner corner. My inner corner and brow highlight are more Rock Candy and a little bit of Strawberry Ice is blending out the line, between. I curled my lashes and tight lined. I was trying to decide which mascara to use and looking at my eye shadow and I decided that the Macaron needed to be bumped up a little on my mobile lid. A misted shader picked up and deposited a stronger statement. As I blended the inner corner edge, I flipped the shader up in it's edge and pulled Macaron down along the line just past my inner corner toward my nose. It's subtle but I like the effect. I think it enhances my eye shape. I gently blended the upper edge a bit to ramp up that gradient a bit. I was so happy with my eye shadow that I skipped liner. The tight line was sufficient. I applied mascara and called it done. I think that this is one of my favorite eye looks of recent memory. I am so enjoying this Sugar Pop palette! I can't stop reaching for it and Macaron is on my eyes, often. Once I finished my eyes, I cleaned up a little fallout with my Q-Tip rolled on a wipe method and got to my face. After smoothing on a little Hourglass Veil Mineral Primer I did the usual vain attempt at covering my dark circles then mixed a bit of Embryolisse Lait Creme Concentre mixed with a few drops of Cover FX Custom Cover Drops in N20 and bounced it on with a damp Beauty Blender. After gently applying a little more It Cosmetics Bye Bye Under Eye Corrector I set lightly with a little NARS Light Reflecting Loose Setting Powder. 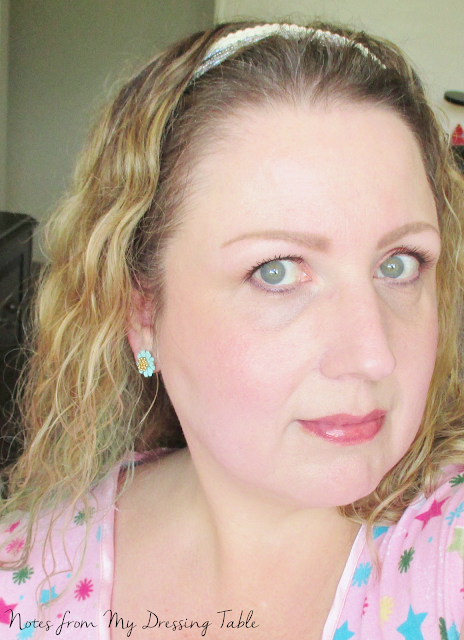 A little Too Faced Chocolate Soliel Bronzer warms up my face and MAC Toledo LE blush in Ripe Peach flushed my cheeks. I used a little Mirabella Swirling Pearl Mineral Highlighter to strobe (highlight) my face. MAC Ripe Peach is so pretty! It's the one MAC makeup item I currently own. This peach to golden shimmer gradient is an interesting animal. It is extremely finely milled and pressed hard. This blush can be worn as a blush/highlight combo or swirled together to create a glowing soft peach flush. As you can see, in the photo above that this blush doesn't swatch for much but if you use the right brush, it picks up and applies very nicely to the face. 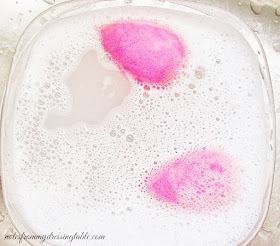 In my experience, a denser, natural bristle blush brush works best. On my lips, finishing the orange-y theme, I grabbed my trusty Sonia Kashuk Sahara Sunset Shine Luxe Sheer Lip Colour in Eden. This lippie is sold out online but if you would like one, check the availability in your area. This lipstick is still in limited stock in some stores. It's worth picking up, if you can get your hands on it. I just wish I had bought a backup while it was still available locally. So that's my finished look. I think it came out all right. Like my earrings? You can find them, here. What are some of your favorite Summer makeup colours or products? Anything you can't resist reaching for over and over, again? I love this eyeshadow combo on you! so pretty! Beautiful look! You have to be one of a billion people who can look so pretty with pink eyeshadow. What a pretty peachy-pink look! Such a pretty makeup look! Very pretty, summery look! I adore peach and pink eye shadow because they're so soft looking, but because my lids are naturally pink/red/peach, I'm afraid to do it but you've inspired me to give it a try. This palette is really pretty and I love the look you created. It's so pretty! What a gorgeous look for summer! I love everything about this look, and your earrings are lovely! Very pretty! I love the corals used. So pretty! That palette is high up on my wishlist. Such a gorgeous eye look on you girl! Love! That's a beautiful summer look. Such a pretty bronzed look. I have to pick up that blush and lippie! I've been loving that TF palette! Thank you! You need to get it, it's lovely. Thank you! 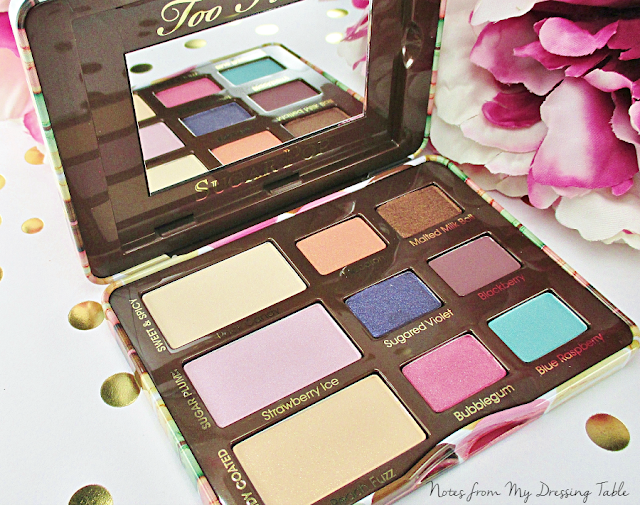 This palette is a winner. 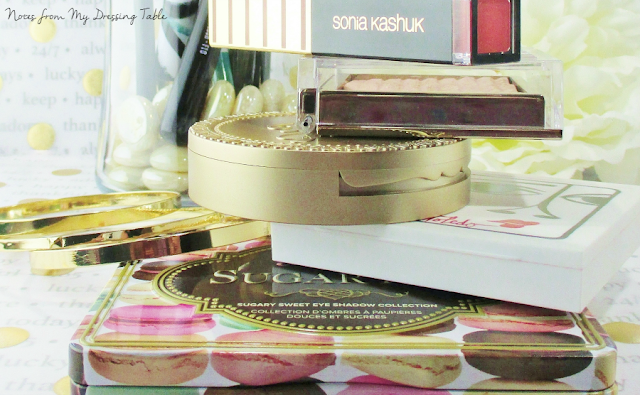 I still need to review this eye palette- loveeee it! Totally digging the watercolor vibe! I love the shade combination you used on your eyes! So fun and summery. Thank you! I'm so happy with how that look turned out. Love the shades you paired together. What a beautiful soft eye look! I love the Eden lip color on you too, just gorgeous! Thank you so much. It's a great little palette, isn't it? Looks good and very summery - I tend to not wear really bold wild colors myself. I think it looks great on others- but just can't quite pull it off myself. 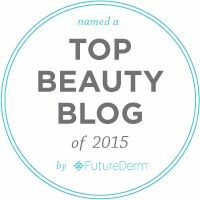 Thanks for linking with the Best of the Blogosphere!